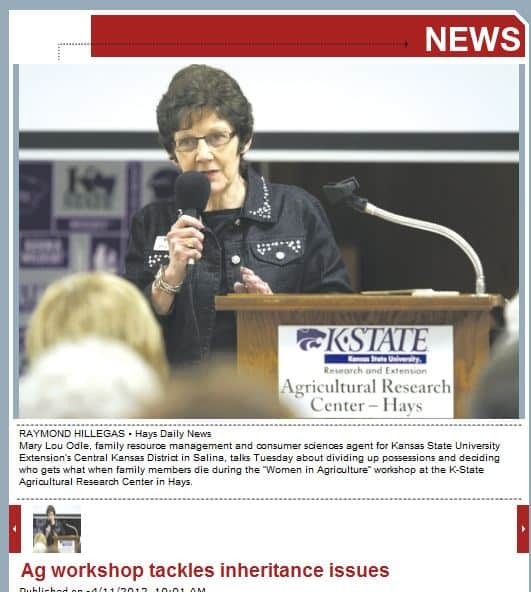 That quote “You never really know a person until you’ve shared an inheritance with them” is from the Hays Daily News site reporting on a seminar put on by Kansas State University titled “Women in Agriculture.” The article discussed how the process of dividing up items can cause such hard feelings it can keep some family members from speaking to each other for years. The women were encouraged to get their estates and the estates of their family members in order to avoid problems after death. You can read the article here. 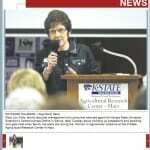 NextDo Ex-pats Worry About Inheritance Laws?